Here's a new addition to the blog! This is my first makeup review. A few months ago, you'd never find me wearing anything on my lips other than Burt's Bees chapstick. My lips are pretty pigmented on their own and I never felt comfortable in lipstick. That's all changed! Just for fun: My best grumpy cat face. I absolutely love this product. Since first purchasing this one, I've already gone back for more! I'm up to four so far and I'll be picking up the others soon. Have you tried any of the colors from this line? What are your favorites? A few months ago, I was not into anything but neutral/red lipsticks, but recently, I have been trying more bold colors (brights&vampy) It looks so nice on you! Thanks! I haven't ventured far into vampy colors yet. I'm thinking that won't happen until fall. I'm still looking for the perfect red. I tried to snag Lime Crime Velvetines, but didn't have any luck. I love the pigment! I've been obsessed with Baby Lips because it gives a nice shine and doesn't dry out my lips. I might have to try this out! 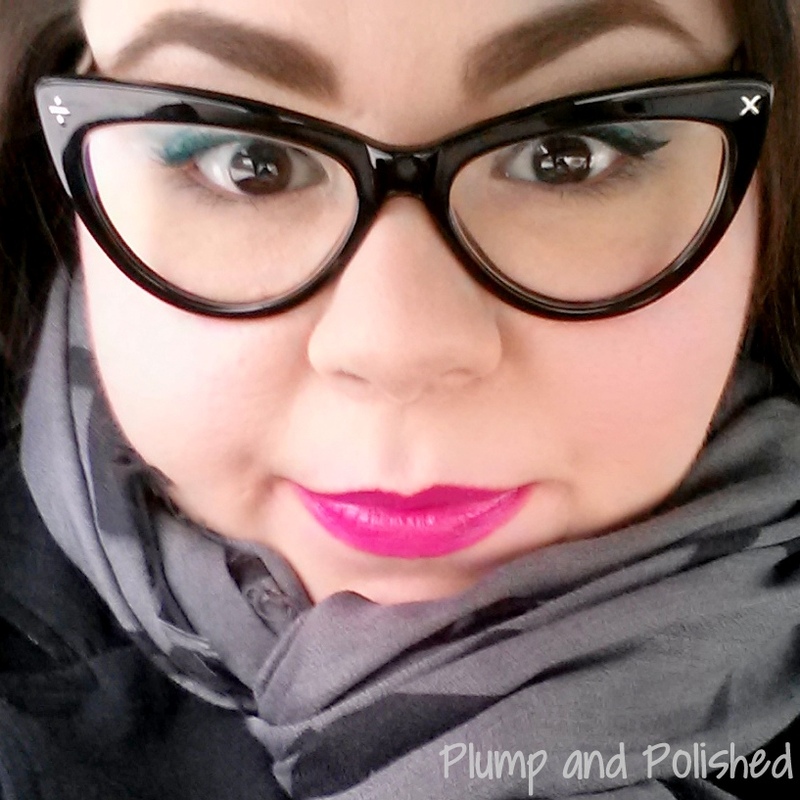 This is actually my first experience with Maybelline lip products. 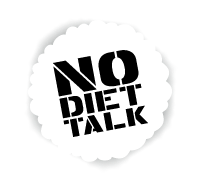 I'm quite impressed with it and plan on trying some other products from them. Ashley, you are just the cutest. 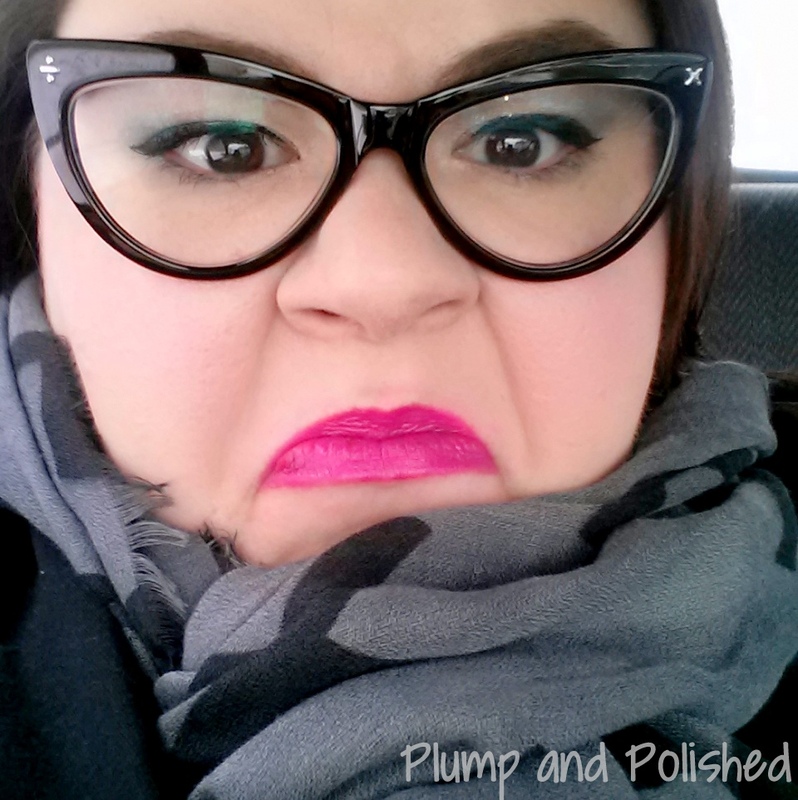 Love the lip color and glasses but most of all the grumpy cat face. Too cute! Oh, you're making me blush! I have 2 of these and really like how bright they are! I have the berry, light pink, and orange. I really need the red and coral. I can't wait to get my grabby hands on them! Hello YOUR FACE! I love bright colours but I never have the balls to wear them. Plus I'm pretty sure my lipsticks just end up being an expensive snack.... xP Looks great though, I'll have to go look at these! Just go for it! If you love it, who cares! Cuuuute! 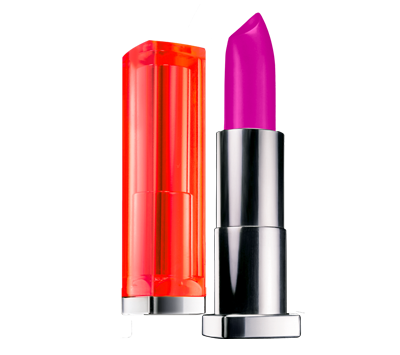 I have this lipstick in Fuchsia Fever and Fifth Ave Fuchsia! I want to try a plum now!! LOVE this shade!!! May have to grab it! I just purchased the Hot Plum and I LOVE!!! Can't wait to try the rest! I just purchased the Hot Plum and I LOVE! I can't wait to try the rest of the line.